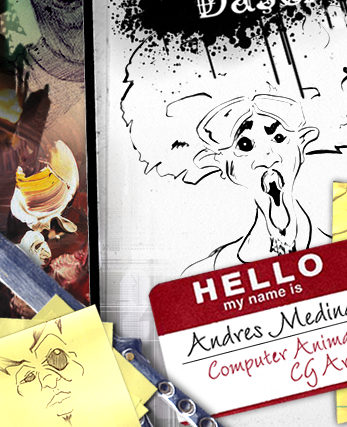 Take a journey into the art and animation of Andres Medina. Although a computer artist by trade my artwork spans various outlets of creative expression including animation, drawing, painting, sculpting as well as dance. Visit my blog for news, updates, events, and other random goodies.